Working puzzles is a fun and exciting way to give your brain a mental workout. 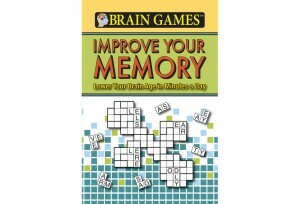 And Brain Games: Improve Your Memory has a variety of puzzles to choose from to keep your mind flexible and fit. 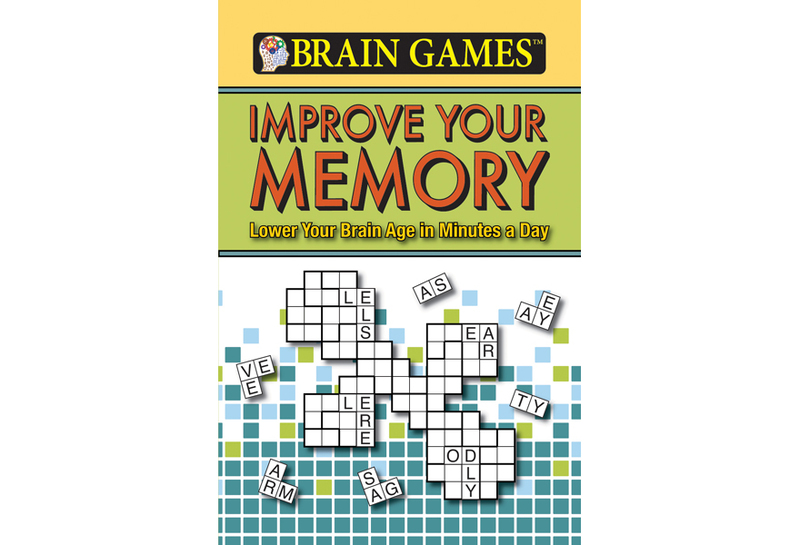 Inside, you’ll find puzzles such as Number Cross, Word Jigsaws, Analogies, Sequencing, Two-Part Recall, and Visual Puzzles that will teach you to flex your mental muscles and improve your memory at the same time. These two-color puzzles are organized into four levels, starting with a cognitive warm-up in Level 1 then gradually increasing the intensity. So by Level 4, you’ll be testing your limits and improving your memory skills while still doing something fun and enjoyable.